Book any of these great NY wedding bands to play at your reception, and make it a party to remember! Find out about some of the best wedding bands New York has to offer in our extensive, detailed guide to wedding entertainment in NY. Playing the Best Dance Tunes from the 1930's until Today! As New York's premier wedding band, the Ron James Orchestra performs regularly throughout the tri-state area, bringing people the liveliest wedding music that keeps everyone glued to the dance floor. Hear some of the best dance tunes from the 1930's until today! Genres include Top 40 hits, dance, classic disco, rock 'n roll, Motown, standards, big band, ethnic, R&B, and hip-hop. Plus, the band constantly keeps everyone engaged with lots of group participation. The reputable NY wedding band believes in playing everything live without the computerized support that many current bands depend upon. The band members do everything possible to make sure each song sounds almost exactly the original recording! The Ron James Orchestra also plays at charity events, corporate functions, catered affairs, and private parties. A Wedding Filled With Great Music And Entertainment! Make your wedding special and have a wedding band at your special occasion, let Star Talent Inc provide the entertainment and great music for your wedding. They will make sure to make the event livelier and filled with fun and excitement. Your guests will definitely have a wonderful time at your wedding. So make your wedding here in New York a special and a memorable occasion, let Star Talent Inc provide a wedding band. Visit their website to make your reservations or call them at their hotline. Star Talent Inc will make sure that you will have the best wedding that you ever experienced. A Wedding Where You Can Enjoy All The Great Music! Have a romantic wedding here in New York, have a wedding band where they can sing all your favorite songs and make your wedding day even more special and memorable. Charisma is among the best dance bands who offer its services to the Tri-state areas of New York and the surrounding areas. You will definitely enjoy your memorable occasion and also your guests will surely have an amazing time at your wedding that they will be talking about in years to come. So make your celebration complete, have Charisma perform on your wedding day. Visit their website for reservations or inquiries. Have A Memorable Wedding Here In New York! Make your wedding special and have a wedding band where they can sing all your favorite songs and everyone can have a great time. Kazz Music Orchestra will make sure that your special event will be an event to be remembered filled with great music and some spectacular entertainment, you will definitely enjoy your wedding day. 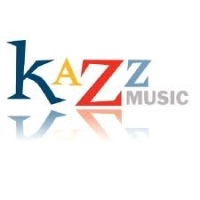 So let Kazz Music Orchestra be your choice in providing an amazing entertainment for your wedding. Contact them at their number or visit their website, they will make sure that your special occasion will be a lot of fun where everyone can have a great time. Plan Your Wedding And Have B.D. Lenz Perform For You! Make your wedding an exceptional event where you can truly enjoy your wedding day and hear some amazing music being played by B.D. Lenz. Among the best Jazz bands here in New York, B.D. Lenz can provide an entertaining show where you can just sit back and enjoy hearing some amazing songs from the 60's, 70's, smooth jazz, and many more. They truly provide an experience where your celebration is an event where everyone can have a great time. Plan your wedding and have B.D. 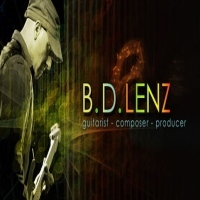 Lenz perform at your special occasion. You will surely love the entertainment that they can offer to your event. Some Amazing Songs For Your Wedding! Have The Smoke Rings perform on your wedding day and you will definitely love their performance. Among the best swing bands here in New York, The Smoke Rings provides music that is soothing to the ears and catchy to sing along with. Everyone will definitely love the entertainment that The Smoke Rings can offer. They perform a variety of songs that range from the music of the 30's, 40's, and the 50's. 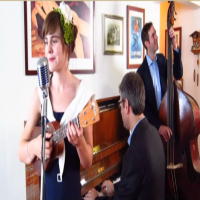 Make your wedding day special and romantic and have The Smoke Rings perform on your wedding day. Visit their website and book your reservations. You will definitely love the show that The Smoke Rings can provide. Have A Livelier Wedding With The "A" Band! Make your wedding one of a kind and have The "A" Band perform at your special occasion. You will definitely enjoy their music and have a great time. The "A" Band will ensure that the event will be a success and that everyone will have a wonderful time dancing to the music. Among the best bands here in New York, The "A" Band will definitely wow the audience with their eclectic style and dance-inspiring rhythms. Plan your wedding and have The "A" Band perform on your wedding day. You will be sure that everyone will have a great time at your wedding. A Wedding Full Of Great Tunes! Make your wedding celebration a fun filled event where everyone can have a wonderful time. Have a wedding band at your event and let Alex Donner Entertainment perform their amazing music at your wedding. You will definitely love their catchy rhythms and familiar tunes. Among the renowned bands here in New York, Alex Donner Entertainment dedicates themselves to providing the best performance on your wedding day. 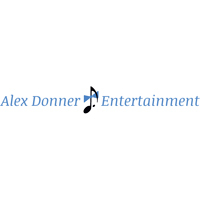 So plan your wedding and have Alex Donner Entertainment perform at your special celebration. Book your reservations and contact them at their website or at their telephone number. Wedding Band That Can Make Your Wedding All The More Fun! 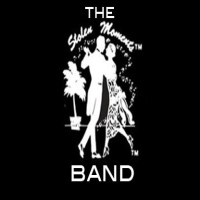 Let Al Scatt's Stolen Moments Entertainment provide to your wedding their amazing wedding band. They will make sure to make your special occasion all the more entertaining where everyone can enjoy the great music and the catchy rhythms. Whatever genre you like, whether it is jazz, pop, songs from the 50's,or 60's, they can perform it for you. Make your New York wedding a special event and have Al Scatt's Stolen Moments Entertainment provide an amazing wedding band for your special celebration. Great Wedding Celebration With Around Town Entertainment! Have a wedding band at your special occasion and let Around Town Entertainment provide the entertainment for your event. 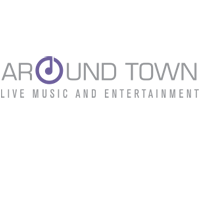 Around Town Entertainment is a live musical group made up of seasoned vocalists and musicians that have performed for some of the most prestigious events in New York City. Whether providing first class music and entertainment for weddings or any other special events, Around Town is best known for their ability to make every event unique and spectacular. Plan a wonderful wedding celebration and have a wedding band from Around Town Entertainment. You will be sure that everyone will enjoy the celebration and will have a wonderful time. 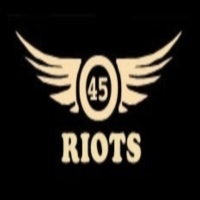 Have 45 Riots Provide Great Entertainment At Your Wedding! Make your wedding day even more special and have 45 Riots provide amazing entertainment for your celebration. Among the best bands here in New York, 45 Riots has performed for a lot of events here in the city and is renowned for their lively and absolutely entertaining performances. So plan a wonderful wedding here in New York and have 45 Riots perform for you at your wedding celebration. You will definitely love their amazing renditions and their high-energy music.